Advanced practice registered nurses (APRNs) fill specialized nursing roles like nurse practitioner, nurse midwife, and nurse anesthetist. They must hold an MSN degree in their chosen field of specialization. APRNs are in high demand in Oregon and across the U.S., a testament to the rigorous training that these MSN students receive. They are also at the upper levels of the nursing pay scale, thanks to their deeper understanding of healthcare systems and economics, interdisciplinary care, public health, and leadership. The most popular APRN specialization is nurse practitioner. 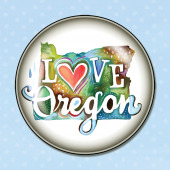 Oregon’s 1,160 nurse practitioners earn a median annual salary of $104,320. This field offers significant room for career advancement, with many nurse practitioners obtaining a doctor of nursing practice (DNP) degree. MSN and DNP programs are offered at top schools like Oregon Health & Science University and University of Portland. Nursing midwifery is another rewarding career path that brings healthcare professionals into frequent contact with expecting mothers and newborn babies. Oregon’s nurse midwives enjoy a median annual income of $106,810, well above the national average. The state is home to approximately 110 nurse midwives. Nurse anesthetists provide anesthesia and related care for surgical, therapeutic, diagnostic, and obstetrical procedures. This highly demanding profession is extremely lucrative. Oregon’s nurse anesthetists report an average annual income in excess of $150,000. The state is home to 190 nurse anesthetists. For more information about local MSN degrees, browse our profile below of Oregon’s best master of science in nursing programs.